THE BEAUTYLINER: Are You Getting The FULL Benefits Fom Your Cosmetics? Are You Getting The FULL Benefits Fom Your Cosmetics? From previous blog posts, I have mentioned the importance of having a beauty regimen in place, whether for hair or skin, to get the most solution out of them. Here are a few types of products that may not be giving you the full benefits that you seek. 1. Creams that are bottled in jars that claim to have antioxidants or oils with helpful healing properties. There are two reasons why you may not be getting the helpful properties you may need from these types of products. 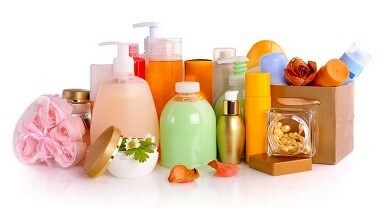 One reason is that companies are allowed to dilute any type of ingredients that they use in their products. Also using a product that comes in jar packaging can cause breeding grounds for bacteria to form. The ol’ Drugstore vs High end, and which is better. Growing up I have always believed that high end products meant that I was paying for quality ingredients. But now from experience of buying low end and high end products, I begin to realize that ingredients used within a variety of cosmetics are interchangeably the same. What we are paying for is the brand, and packaging. Shampoos that claim to have property packed ingredients. Don’t even bother. Why? For an ingredient like oils, which have nourishing rich properties to have an effect on the hair, the product must be left in for a period, so that it can penetrate, or coat the hair shaft. So as you know, with shampoos, which are meant to be used to cleanse the scalp, and immediately rinsed afterward, this doesn’t do much in providing the benefits you want from the oils advertised on the bottle. Most facial cleansers, hair products, or body washes will advertise beneficial oils, antioxidants or cleansing beads that claims to help solve general beauty problems we may have. By realizing the way in how we use our beauty products, we will understand which product delivers good results!